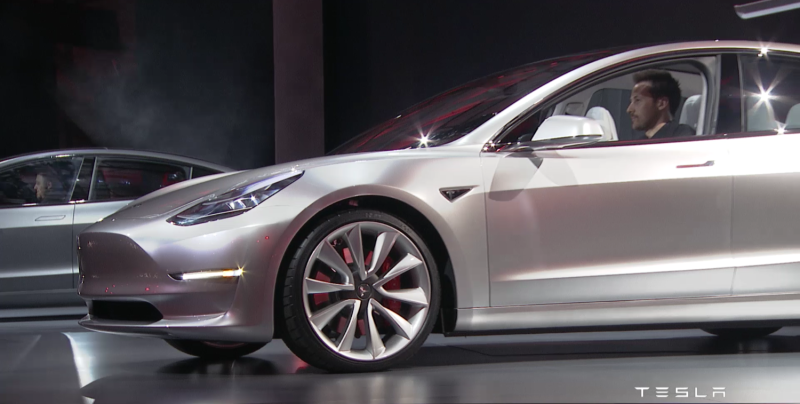 When Tesla CEO Elon Musk introduced the Model 3 concept in March of last year, he promised that early production would begin by July 2017 as long as suppliers could keep up. Tesla has now reportedly informed suppliers it will be retooling its factory for a test assembly of the Model 3 on February 20th. The first Model 3 cars to roll out of Tesla’s Fremont factory will only be pre-production models for testing and supplier feedback, according to the exclusive report from Reuters. Musk claimed the Model 3 design was pencils-down and completed last July, but Reuters reports a source claiming that it’s been undergoing continued tweaks, which could setback the scale-up to full production if it causes major supplier setbacks. Reuters points out that the February 20 date for test production will coincide perfectly with Tesla’s fourth-quarter shareholder report. It’s unclear when Tesla will publicly show the production-ready design of the Model 3, which initially secured over 370,000 deposits following its reveal. Tesla has refused to acknowledge any change in the amount of deposits since May. If Tesla actually manages to start churning out the Model 3 by its July target date, it will be a first. Both the Model S and Model X underwent extensive delays before finally reaching production, and then each endured a period of initial quality issues. I can’t help but remain incredibly curious what the production version of the Model 3 will look like. Tesla has claimed it will be minimalist and easy to produce, shrinking issues with their struggles over quality and speed of production on other models. Musk even took to Twitter after the reveal to source ideas on what to improve. Let’s hope the hundreds of thousands of people waiting for a Model 3 still like it, and more importantly, that Tesla can get it to them without too many setbacks.